Toronto's public transit system has been in a love-hate relationship with its users for years. Users' primary points of contention include service delays, discourtesy from staff, and inefficient operation (Toronto Star, 2013). This year, a large portion of user complaints stem from growing pains associated with the TTC's implementation of the Presto card fare system. Presto is a contactless payment card system designed by Metrolinx to standardize payment across both public and private transit systems in the Greater Toronto and Hamilton Area. It's been in use across most of the region's GO Transit networks since 2009 ("About PRESTO". Queens Printer for Ontario. Retrieved 2010-03-09.). Although the system seems to have worked well for GO Transit users, integrating Presto into the rather antiquated TTC system proves to be more of a struggle. In the past year alone, Presto's rollout on the TTC system has included an "abnormally high failure rates of the readers themselves" (Toronto Star, 2016) as well as cost overruns (Toronto Star, 2016). And that's not including the wave of user anecdotes detailing frustrations with using the hybrid system. Collecting anecdotes from bloggers, Yelp reviews, op-ed articles, and my own and friends' experiences, here are a few of the most common complaints about Presto's painful integration into the TTC. 1. Presto gates are poorly designed and break often. Designed with fragile automated hinges that rotate to swing open, the gates are frequently broken when customers push against them. This is understandable because the motion sensors on the automated hinges don't activate until customers are quite close the gate already, and TTC customers are accustomed to pushing turnstiles to enter and exit stations. 2. Purchasing Presto cards is a pain. There are only a handful of vending machines available (at Davisville, Union, and Islington station), and those that exist often malfunction (as this unfortunate user reported). Otherwise, one must order the card online and wait weeks for delivery before being able to use the card. 3. No mobile app for card refills or management. Quite counter-intuitively, there is no mobile app (and a painfully mobile unfriendly website) for a system designed to be used by transit users on-the-move! This is a real shocker: when I am planning to reload my transit card, when is the most likely moment I will remember to do so? Obviously when I am already out and about to take the transit! This is an obvious design flaw that could have easily been fixed by implementing responsive design on the existing website at the very least. 4. Presto cards are unreliable for usage across the transit system. 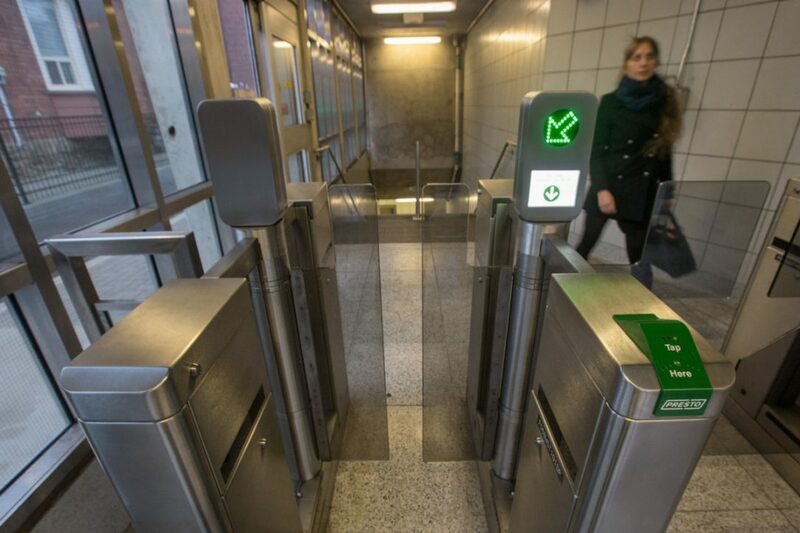 Not only do existing Presto card readers break often, but frequently users find themselves stranded outside stations or buses and streetcar lines that do not accept Presto cards. Sometimes, this is completely arbitrary: a subway station that you've just left will accept the Presto card but the bus you are transferring onto will not. To compound the problem, even single stations are inconsistent. St. George Station, for example, accepts Presto at its Bedford Street exit, but only accepts tokens, passes, and change (when the Collector's Booth is open) at its St. George exit. This is even more puzzling considering the St. George exit is the more populous one, shuttling students to the main causeway of the University of Toronto campus. Some stations/lines only accept Presto, some only accept tokens, and if the token slots are jammed, some only accept monthly or weekly passes. As a result of this inconsistency, a rider going across town from North York to Roncesville on a Sunday evening may need to use their Presto card, a token, and a pass to complete the one-way trip. 5. No standardized, comprehensive, interactive map of Presto services. Something that might ease the whole transition would be a guide: a map of all the entrances, stations, and lines that have Presto card readers/gates, Presto refill machines, and/or Presto card vendors. A bonus would be to have such a map be an interactive progressive web app that could be used across platforms and would indicate when certain machines/gates/entrances were out of service. 6. No immediate user feedback on your balance or transfer time. Most payment cards will inform the user of exactly how much balance your card has left, or how much time you have paid for when using it. Not so with Presto. Although the TTC/Presto integration has a limited time window during which you can tap the Presto card to transfer to another line (thereby avoiding a second charge in one trip), there is no interface on the card reader informing users of their time window. Combined with no feedback about how much balance is left on your Presto card, you may not even notice when you are double-charged. 7. Automatic 25 cent overdraft fees, with no notice. Presto has a feature that will allow you to take one final ride that exceeds your available funds. As a result, your balance ends up going into the negative, and this amount is subtracted the next time you reload your card. This would be an appreciated feature, if it were not for the fact that you are charged 25 cents every time this happens - and you can't tell when it will happen! With no mobile app, and no immediate balance update feedback during usage, you can be blindsided by this extra fee with no warning. And there is no option to turn off the overdraft charge feature. On top of the inconveniences associated with checking and updating one's balance, Presto also sometimes requires users to wait up to 24 hours for their most recent trips and balance reloads to show up. That means someone who needs to be on a train or streetcar later that day might be stranded waiting for their card to show the updated balance, or will need to spend more cash just to get on the move again. User pain using the Presto card system is so severe that its critics have even developed a website to catalogue user stories and suggestions about the system's unfortunate design. Durable, user-friendly gate design. Both the Hong Kong and Montreal subways feature gates that do not make use of swinging hinges. 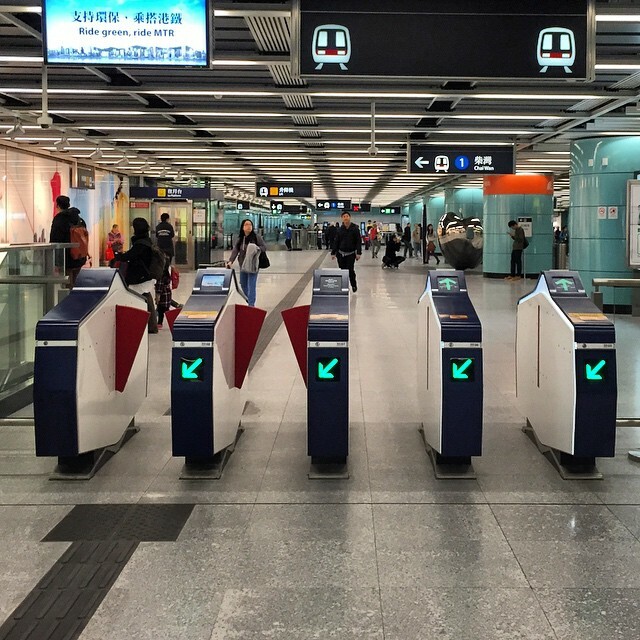 In Hong Kong's subways, the sliding motorized doors minimize risk of mechanical damage from pushing customers, and also do not invite pushing (as the affordance of a swinging door typically does). Montreal's subway, in a similar vein to Toronto's former system, uses turnstiles that unlock once contactless payment cards are scanned. Including all resources hyperlinked above.